This is a sugar free product. 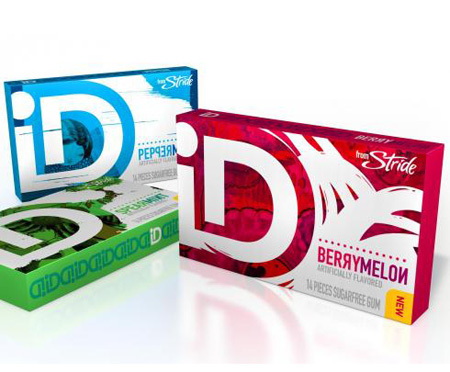 but the newest launch in this field has been “ID” from Mondelez, so this patent refers to this product. I presented this one on my post on 13th August 2012. There are also hollow balls in the market which are printed on the coated surface. 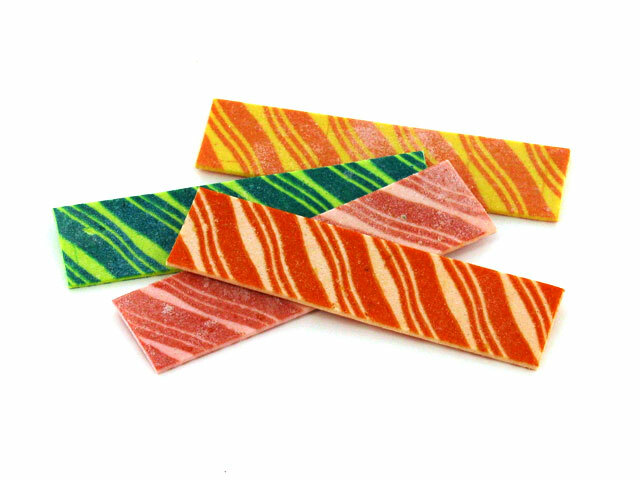 Come to my mind the ones from Confiteca (Ecuador) named “agogo” and the one from Zed Gum (Ireland) which I discussed in my post about this company from last ISM. Once again, I visited the confectionery fair in Cologne/Germany. It is always nice to see old friends, customers, competitors,… Always eager to learn what’s new and to see the changes in the market. This year I could find some new chewing gums (from Colombina, from Maghreb, …) together with some already known types. Interesting to note the revitalization of the “Cheiw” brand, from the Spanish company Damel. This was a top brand in the 70s and went through difficult times recently, but it seems that it is going up again, even if far from the golden times because now the Spanish market is clearly dominated by Wrigley and Cadbury (and always the interesting presence of Fleer with some market share). Also news from this market is the absence in the ISM Fair of the well-established firm “Fiesta”. It seems that the company is going through a restructuration process. 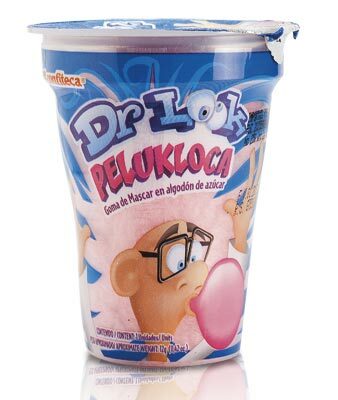 In terms of products I’d like to note the “Dr Look – Pelukloca” from Confiteca (Ecuador). This is a cotton gum presented in well-sealed plastic jars to avoid deformation and to ensure air-tightness. This (cotton gum) is a complex product to produce from the technological point of view, so it has always interested me. It is delicate and has always struggled to survive on the shelves of the different markets where is has been launched. I have seen it in USA, in Spain, in Korea but not in many more places. Generally speaking, I found less exhibitors this year, with many empty spaces. It seems to me that the Fair is getting smaller and smaller (I do not know about the official figures of visitors). We already lost some years ago the presence of big names such as Wrigley, Cadbury, Perfetti and more recently Arcor and others. Lotte still keeping a relatively small booth (in relation to the size of the company). This year we missed the presence of companies from troubled countries like Egypt, Syria, Pakistan,… The Arab Spring left its effect in the fair. Some comments around the fair said that there is not enough novelties or generation of business to justify a yearly fair and that it would be more interesting to have this type of show every two years. However, the parallel event – Prosweets – seems to be taking off successfully. Last year we did not have Prosweets because we had Interpack Fair in Düsseldorf in May 2011 and the organizers decided that having Prosweets and Interpack in the same year would be too much. Wise decision!